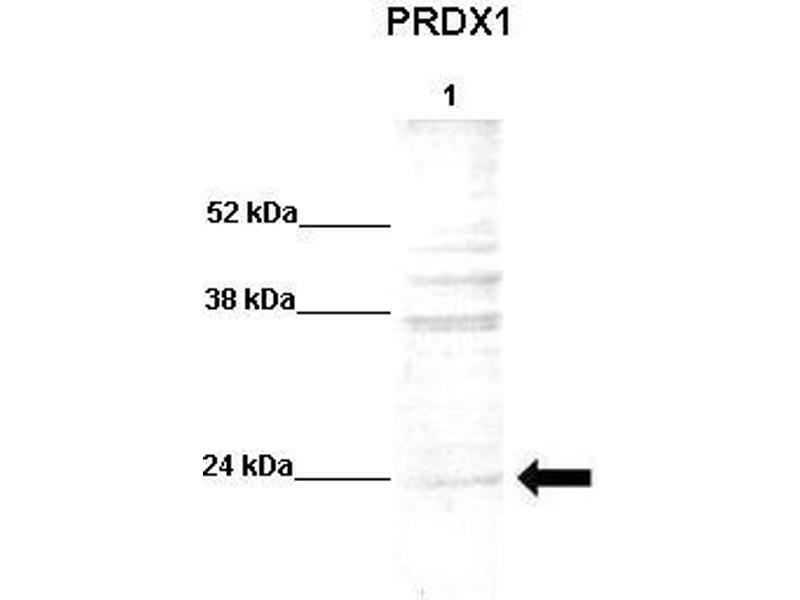 Characteristics This is a rabbit polyclonal antibody against PRDX1. It was validated on Western Blot using a cell lysate as a positive control. 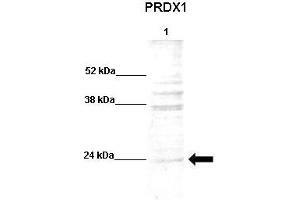 Background PRDX1 is a member of the peroxiredoxin family of antioxidant enzymes, which reduce hydrogen peroxide and alkyl hydroperoxides. 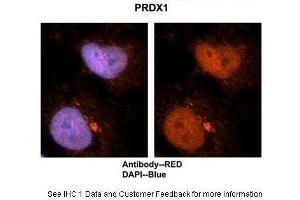 It may play an antioxidant protective role in cells, and may contribute to the antiviral activity of CD8(+) T-cells. This protein may have a proliferative effect and play a role in cancer development or progression. This gene encodes a member of the peroxiredoxin family of antioxidant enzymes, which reduce hydrogen peroxide and alkyl hydroperoxides. 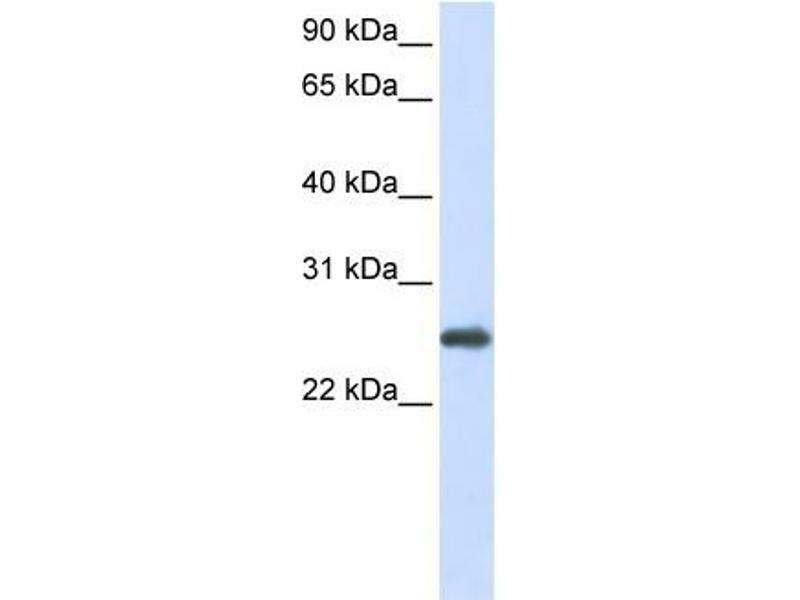 The encoded protein may play an antioxidant protective role in cells, and may contribute to the antiviral activity of CD8(+) T-cells. 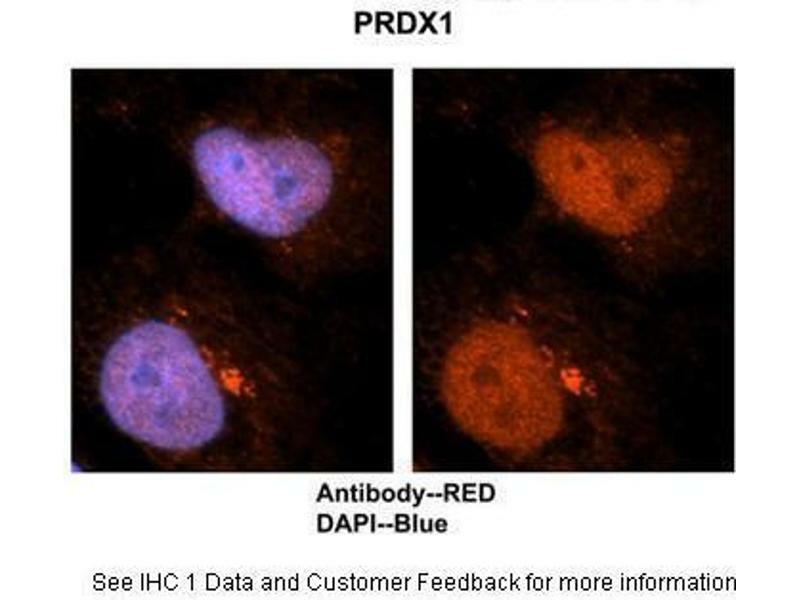 This protein may have a proliferative effect and play a role in cancer development or progression. Three transcript variants encoding the same protein have been identified for this gene.